Posted: May 10, 2014 10:43 p.m. Updated: May 10, 2014 10:43 p.m.
Newhall resident Aaron Baker races his three-wheeler bike. 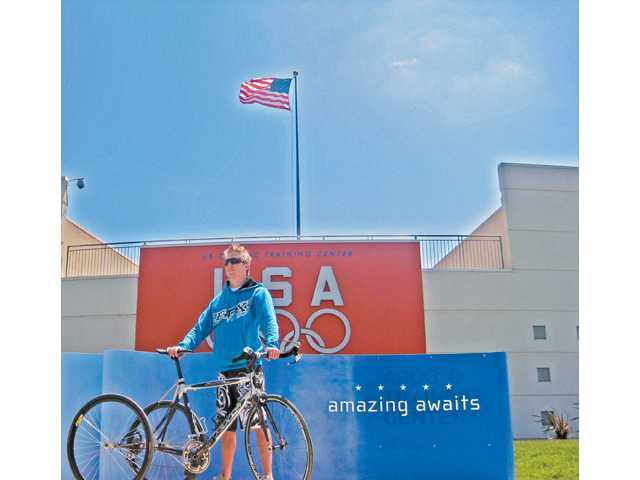 A former member of the U.S. Paralympic Cycling Team, Baker stands outside the U.S. Olympic Training Center. Baker practices restorative exercise during his ongoing rehabilitation. Newhall resident Aaron Baker, 35, broke his neck in a motorcyle accident 15 years ago. Doctors prognosticated Baker would never again have funtion below his shoulders. Today, Baker is a recovering quadriplegic — and he can walk. Enveloped in a crowd of more than 1,000 runners, recovering quadriplegic Aaron Baker, 35, sat in his wheelchair at the starting line of the Wings for Life World Run in Santa Clarita last Sunday. When he heard the rallying “Go!” Baker stood up and joined the crowd in their first steps toward the finish line. Vibrations from the loud, energizing music pulsed through his limbs in the dark of the early morning, and he began his race against the clock — he’d walk as fast as he could for as long as he could. Within minutes, the only thing left at the starting line was Baker’s empty wheelchair. At age 20, the Newhall resident and motorsports competitor broke his neck in a practice ride. For 15 years, he worked toward recovery through focused, restorative exercise. He regained movement in all four limbs and started putting one foot in front of the other. “I’m walking again slowly — slow enough to smell the roses,” he said with a laugh. Since then, Baker has ridden a bike across country — twice — competed with the U.S. Paralympic Cycling Team and walked the length of Death Valley. He even got engaged. When Baker was 20, his motorcycle malfunctioned as he approached a jump, causing him to lose speed at the most pivotal part of the launch, Baker writes on his website. Suspended in midair, Baker flew over his handlebars. “I got the phone call that he had been in an accident, and I got on a plane and never went back,” said his mother, Laquita Dian, who had moved out of state at the time of his accident. Hitting the ground headfirst, Baker lay on the track, motionless but conscious. The doctors said Baker had broken his neck at the 4th, 5th and 6th cervical vertebrae. “I was a complete quadriplegic — no movement from the shoulders down,” he said. The doctor told Baker, who was hooked up to a ventilator, he had a one-in-a-million chance at ever feeding himself again, Baker said. “‘No,’ I thought. ‘You’re not talking about my son,’” Dian said. He couldn’t properly breathe, and Baker found out he was dying. 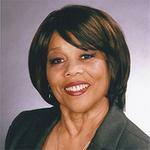 “The turning point for me was when I experienced respiratory failure,” Baker said. The mother-son duo made a decision: They didn’t have to accept Baker’s fate, and they wouldn’t. “I held onto the flickers of improvement, the milestones, on a daily basis — being able to breathe on my own, being able to give a hug again,” he said. Renewed by a third shot at life, Baker and his mother began to fight his prognosis. “The perspective I gained in this entire process is something I wouldn’t change for anything,” Baker said. Baker worked hard at visualization techniques, picturing movement and function in his limbs. Painting a big toe with blue nail polish, Baker associated the toe with the color and focused on nothing but blue. “I had to willfully direct my intentions through my body,” he said. Decades ago, common knowledge was that the neurological system was hard-wired and not malleable, Baker said. But in recent years, research has shown that the neurological system has plasticity. “It’s constantly forming new pathways, new connections, new routes,” Baker said. “I didn’t have to accept it — I was always kind of unruly anyway,” Baker said with a laugh. Instead of visualizing forced movement through broken neurological pathways, he concentrated on creating new ones, he said. To this day, Baker refers to himself as a ‘recovering’ quadriplegic. The term, he says, gives him a sense of control over his own destiny, implying proactivity rather than a victim mentality. And in working to recover, Baker holds onto hope for a cure every day. “The only way for a cure to be efficacious is if you couple the rehabilitative with the research, and work those two simultaneously,” Baker said. Once formal rehabilitation was finished, however, Baker couldn’t find another physical outlet to help in his recovery. And in order to continue regaining function, Baker needed to deliberately move his body every day. 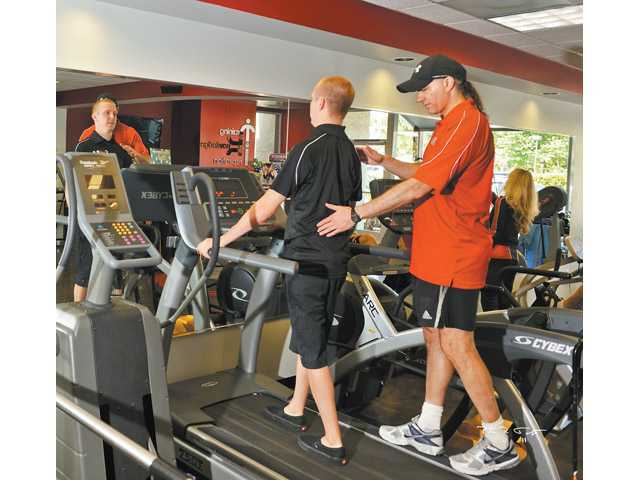 Baker sought out restorative exercise: a structured, personalized and progressive corrective exercise program that integrates rehabilitative movement into everyday life. In his search, Baker found there was a gap in services offered to the injured, between formal rehabilitation and a “Gold’s Gym,” Baker said. “We came to understand there was a real need for exercise beyond the point of medical intervention,” Baker said. So Baker, Dian and business partner Taylor Kevin Isaacs started C.O.R.E., Center of Restorative Exercise, a gym in Northridge. Since Baker’s accident, he has continuously pushed his physical and mental capabilities through athletic challenges and pursuits. 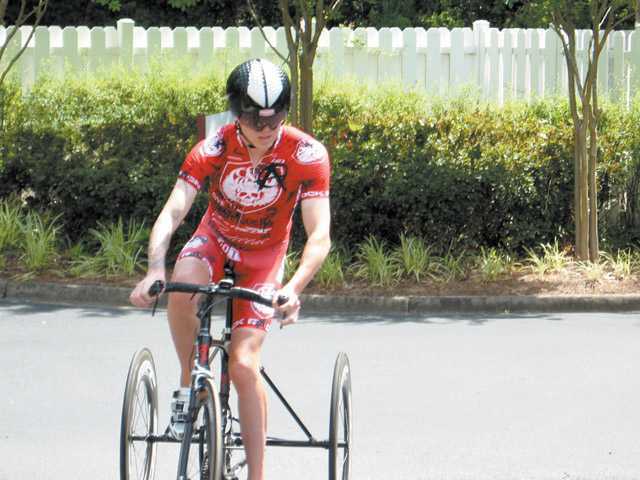 Using a specialized three-wheeler, Baker has biked across the country twice — a feat that got the attention of the U.S. Paralympic Cycling Team. Racing for his country, Baker road his three-wheeler in the road race and time trial categories, winning the national championship in 2011. Though an illness kept him from competing in the world championships in Italy, Baker kept going. Abandoning the wheelchair, Baker walked the length of Death Valley — independently, he said. Most recently, Baker represented Red Bull as an ambassador of the Wings for Life World Run on May 4. Wings for Life, the philanthropic arm of Red Bull, is dedicated to raising money for research, to find a cure for spinal cord injuries, Baker said. Though there was a separate wheelchair race, Baker decided to walk in the Wings for Life World Run. All proceeds of the race funded spinal cord injury research, and more than $4 million was raised, Baker said. Only a week from his last challenge, Baker is planning his next trip: hiking Mount Whitney. Aside from athletic endeavors, Baker plans to chronicle his story in a book, eventually taking it on speaking tours to spread awareness and motivation for those like him. “We just need to keep raising awareness and funds to show what’s possible,” he said. “What we do on a daily basis is continue to push that envelope to rally people together and catalyze that energy.